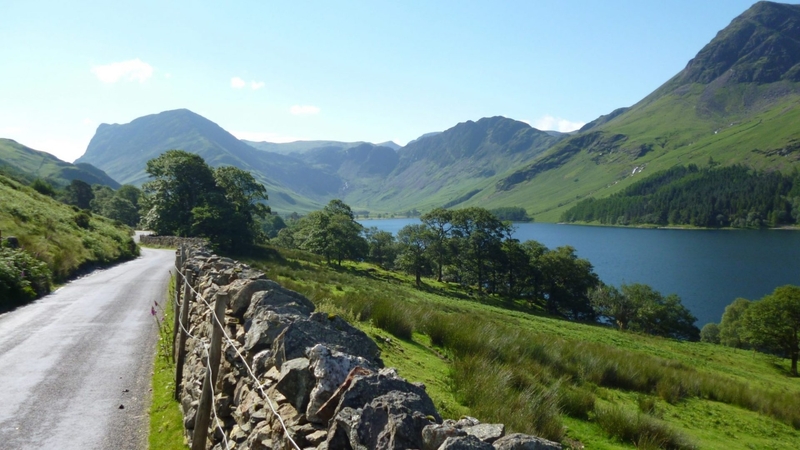 A lake District Grand tour is the third of Mike’s cycling adventures. This time his talkative steed Scott has been put into a well earned retirement and with a new bike he is joined by his long suffering son Richard who not only has to put up with his father being directionally challenged but he frequently finds himself getting cold as he patiently waits at the crest of each climb for his dad to arrive. On this grand tour Mike takes us to all of the lakes, meres and waters of the lake district as well as to its extremities north, east, south and west. Mike’s charming and easily readable style has you cycling alongside as he paints a wonderful picture of the differing landscapes of the Lake District in to which he weaves the history of the Lakeland fells and its surroundings. Something new for this book is an accompanying website lakedistrictgrandtour.co.uk this has details of all the routes with maps, pictures and links to the many places outlined in the book. As ever Mike’s sense of humour comes through from the ‘Sleeping Policeman’ on High street which had me thinking of speeding fellwalkers, to the pies OF BIBLICAL PROPORTIONS and his account of him zig zagging his way up the 25% & 30% inclines of the Hardknot and Wrynose passes which did make me giggle as it brought back so many memories of doing hill climbs and that urge not to let them beat you. I have also been that person “Push down those pedals, heart thumping, breath in gasps, push, push. Andddd…stopppp”. As you turn the pages it is easy to see Mike’s love of the lake district which he has now made his home and his personal account of the 2008 Lakeland flood is quite touching. If this book doesn’t get you itching to get your bike over to the lake district and explore it I don’t know what will!